Merin Jay: Please, tell us who you are and what’s your position in the company? Yaron Schwarcz: My name is Yaron Schwarcz and I’m the CEO & Co-founder of Skyline Robotics. Merin Jay: What’s your company doing? Why and how? 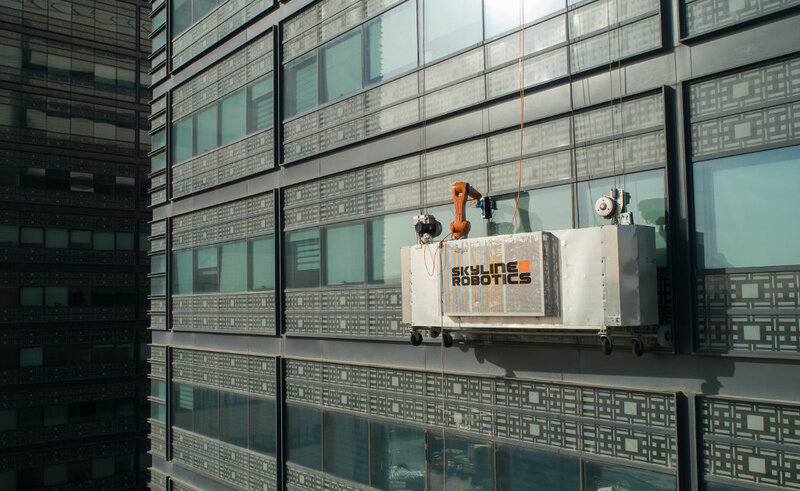 Yaron Schwarcz: Skyline Robotics is removing human risk from work at heights. By giving industrial machines senses like sight, hearing, touch, and intelligence (AI), we are enabling the automation of multiple dangerous service sectors. Starting with window cleaning, we aim to automate all maintenance work at heights. Ozmo, the first window cleaning robot, utilizes computer vision and machine-learning to adapt to the complex geometry of skyscrapers and to create the most effective cleaning path. Merin Jay: What products or services do you offer? Yaron Schwarcz: Ozmo is the first robotic window cleaning system for skyscrapers. At Skyline Robotics, we are dedicated to providing friendly, professional, transparent, and detail-oriented service. We offer premium end-to-end service and work on your schedule day and night to get the job done on time and without putting anyone's life at risk. Ever. Merin Jay: In what way does the technology you offer add value to your customers? Yaron Schwarcz: Anyone that works in the maintenance sector understands the value of hassle and stress-free service. At Skyline Robotics, we are utilizing frontier technologies such as AI, advanced robotics, computer vision and more to provide excellent service. Ozmo is so efficient, it can clean at least 6x faster than traditional window cleaners with continuous and consistent cleaning quality. Most importantly, Ozmo is 100% safer. Merin Jay: What makes your company a great place to work? Yaron Schwarcz: Our passion for robots and our love for people. We are a team of 10 and growing, and each team member has a different background and field of expertise that makes learning so much more interesting. We are all working to solve massive challenges with real-world implications, and are passionate about Skyline Robotics’ success, which means reduced risk for real people. 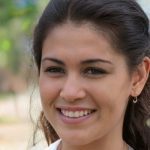 Merin Jay: Why did you choose the window cleaning industry? Yaron Schwarcz: It seems obvious that people should not be risking their lives doing this job when machines can do it instead. Now is the perfect time to bring such a product to the market. Merin Jay: Why did you choose automation and robotisation? Yaron Schwarcz: We have a lot of experience and knowledge in these fields and know how to think innovatively about them. Merin Jay: How is technology changing the business? What new business models does it create? How does technological innovation augment the business and vice versa (generally speaking and specifically for your project)? Yaron Schwarcz: Skyline Robotics is one of a few startups that are bringing Robotics As A Service (RAAS) to market. It’s similar to SAAS, except there is some hardware and also a robot that’s infused with software and can now perform tasks. This is the future of task automation. Merin Jay: In what (expected and unexpected) ways the technology you’ve developed is changing people’s lives? What problems does it solve? Yaron Schwarcz: Window cleaning is an incredibly dangerous job. People are cleaning windows from extreme heights, with only ropes and harnesses holding them up. Every year, workers get severely injured or die while on the job. Skyline Robotics believes that no person should be exposed to such risk. Our robots are the ones working at heights while humans will be supervising and operating the system safely from rooftops. Merin Jay: Do you rely on your own team of developers or do you partner with external companies and organisations? Yaron Schwarcz: We develop everything end-to-end in-house. Merin Jay: What would you advise other people in the window cleaning industry? Should they embrace and implement technological innovations in their products and services? Yaron Schwarcz: In general, we believe that adopting rather than excluding is the best way forward. In this case, automated window cleaning can actually help many window cleaning companies grow and increase their profitability. It’s like asking a carriage driver if they should learn to drive a car. 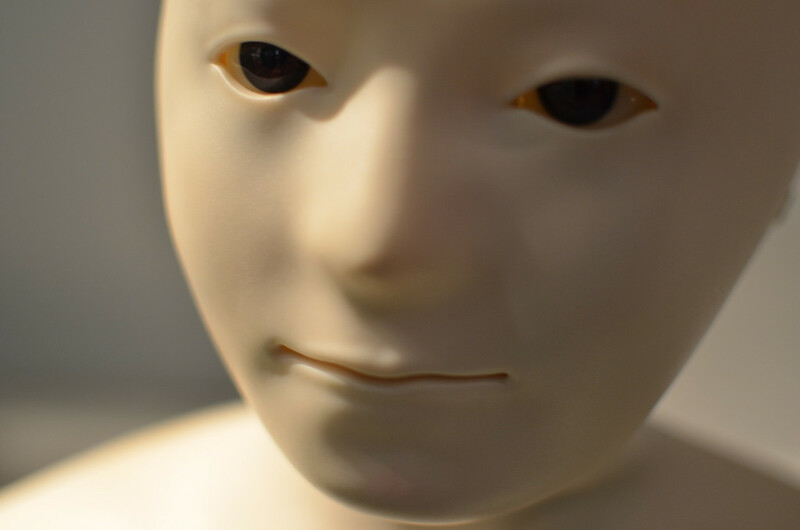 Merin Jay: Do you think people should be afraid of being replaced by robots and intelligent machines? If there’s a risk of replacement what people should do to prepare themselves for the future? Yaron Schwarcz: This fear has existed since the Industrial Revolution. It is not necessarily irrational, as some hundred years later, we see it has materialized. However, at Skyline Robotics, we do believe the robots will change the workplace, and our mission is to begin with dangerous and dirty tasks. How will the workplace change? We hope to see the growth of newer, safer positions, such as supervisors and technicians for these robotic systems. Merin Jay: What is your vision of the future? Yaron Schwarcz: Skyline Robotics works to eliminate human risk at heights. As our success continues, we hope to automate more elevated tasks and continue minimizing risk for people. Photo courtesy of Skyline Robotics.